In this video performance I address issues around the complexity of our identity; the search and loss of it and the different sacrifices of identity in different periods throughout people’s life. I explore my own experience around building and finding my identity. 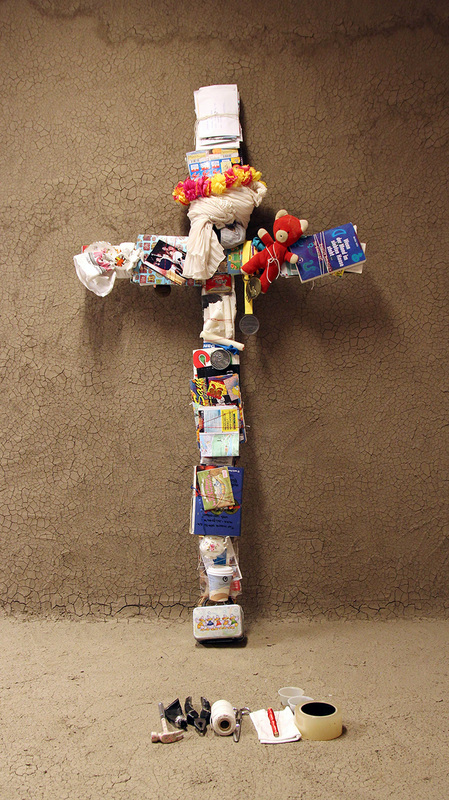 Through the use of these meaningful and carefully selected objects that I have been holding on to all my life I revisit my past identities, my past self and crucify them on a cross. Leaving behind what I once was and letting the spectator only to see part of the objects, part of my past. Leaving in evidence all the sacrifices I have made to become the person I am today. The identity I have today.